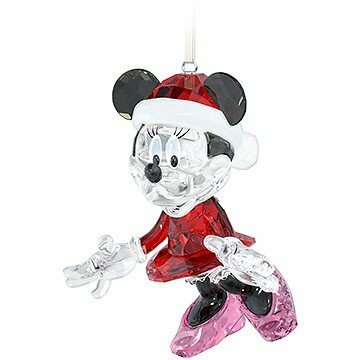 Swarovski Minnie Mouse Christmas Ornament, Reference #5004687. Brand new, in original manufacturer's box, with embedded Swarovski logo for verification of authenticity. Dimensions: 2 7/16" x 2 3/4" inches. Measures 2 7/16" x 2 3/4"
If you have any questions about this product by Swarovski, contact us by completing and submitting the form below. If you are looking for a specif part number, please include it with your message. Christmas Ornament Set / Complete with 100+ pieces / All in One/ From your Tree Topper, complete with all the ornaments shown here, your TreElf has added everything down to the treeskirt to decorate!